Length: 25" in. Pit to pit: 20.5" in. Knallbunt, Glanz. sehr gut erhaltener Original-Adidas-Regenjacke. Mit dem Zuschlag gehen Sie einen rechtskräftigen Kaufvertrag ein. Der Verkauf erfolgt unter Ausschluss jeglicher Gewährleistung. 80 er Jahre. Vintage Tommy Hilfiger Athletic Track Pants Xl. Excellent condition no flaws. 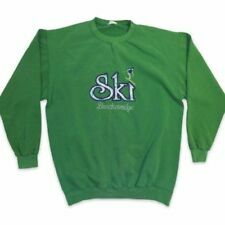 NO puffs, pulls, bobbles; nice material feel; bright colors; badges are stitched;. 1980,S STYLE. CONDITION DETAILS. Lag bei mir ca. 10 Jahre im Schrank. einmal getragen. Sollte er nicht gefallen oder passen senden sie ihn zurück. aber wie neu Tip Top. gebunden bin und somit. Farbe: Mint/ Grün. Back legs (shown in photos). No other flaws. OLYMPIQUE MARSEILLE ! Width: 58cm. Length: 71 cm. Would be a great addition to any adidas collection. Trousers have elasticated waist with drawstring and waist pockets. Pants are inGOOD condition but have a grubby mark on left knee. Baggy style. Both pieces are a size large. The suit is in good preowned condition. The elastic has been stretched so the pants will be held up with a drawstring. There is a front fly zipper as well. Don’t miss out! Manufacturer: Adidas (Made In West Germany). adidas 1980's zip pockets art. ### - Good condition (only Few bobbles or pulls but in good condition). This item is an absolute classic it is almost impossible to find. 1990s USA made Serial Killer hoodie, size Large. Chest (pit to pit) - 21”. Sleeves (Armpit to End Of Wrist Cuff) - 21”. Length (Back Neck Seam To Bottom) - 25”. Hand Picking the highest quality goods is my mission. ( Correspond à du XXL ). ( Voir site de Mondial Relay ). Verifier la disponibilité d'un point relais proche de chez vous ! ( Une poche intérieure avec doublure déchirée ! ). 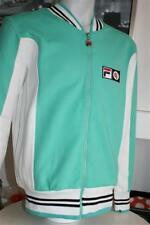 Vintage Adidas ATP Track Jacket Large. Shipped with USPS Priority Mail. The torch was passed. My mother also wore lots of Bonnie Cashin in the 1960s and 1970s so I was aware of the modern minimalists, and sought them out for her when I found them. I have been in the biz and know how it works. This item has been laundered and is ready to wear. Length- 24.5". Made In West Germany. Size 50 (Fits Like A Modern Small). Length (Back) - 25.5". Super soft velour with embroidered Sean John across the chest of jacket and on rear pocket of drawstring pants. 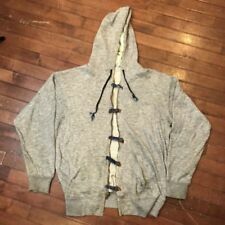 Hoodie of jacket is missing the cord. Ankle zip on pants. Length down side of pants 44”. Marke: Karhu. Produktart: Trainingsanzug. Stil: Trainingsanzug. Der Anzug ist in einem getragenen Zustand. Adidas Deutschland Trikot Jersey DFB EM 2008 Maglia Camiseta Maglia 176 Short. Adidas Deutschland Trikot Jersey DFB EM 2004 T-Shirt Maglia Camiseta D 176 Y XL. CODE BLUZA - 25. D - 79 (73 6 cm welt) cm / 31.1". C - 49 (43 6 cm welt) cm / 19.3". 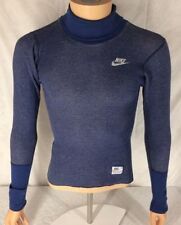 Super soft and thin sweatshirt in gently used condition. Vintage Deadstock 80s Hawaii Crewneck Sweatshirt Tee Jays vtg NOS NWOT 50/50 Maui Tropical Beach Surf Palm Trees Island Print Tees Sailboat Sailing Boating Tagged Size Large Made In USA Please see photos for measurements and condition. 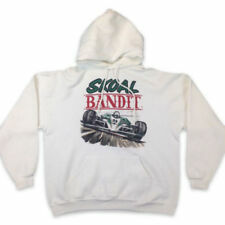 The sweatshirt is new old stock right out of the original bag. A pulled thread in the left upper chest area. 17” collar. 9” cuffs across. 18.5” under sleeve. 26” sleeve from collar. Produktart: Trainingsanzug. Stil: Trainingsanzug. Adidas Deutschland Trikot Jersey DFB EM 2008 Maglia Camiseta Maglia 176 Short. Obermaterial: 100% Nylon Futter: 65% Polyester 35% Baumwolle. Adidas Deutschland Trikot Jersey DFB EM 2004 T-Shirt Maglia Camiseta D 176 Y XL. Etiquette =174. 100 % polyamide. Marine et vert. ( Voir site de Mondial Relay ). Verifier la disponibilité d'un point relais proche de chez vous ! (Elastique taille bout de jambe non fonctionnel ! ). Very unique and rare item as well as collectable a must for any sport of futbool club Barcelona fan or COLLECTOR too. Harder to find light blue hoodie with a nice overall sun fade.The sweatshirt shows general signs of wear/marks throughout (as shown in photos) and still has the original lace! This item has been laundered and is ready to wear. Produktart: Trainingsjacken. Look: Sportbekleidung/Strand. Stil: Trainingsanzug. Adidas Deutschland Trikot Jersey DFB EM 2008 Maglia Camiseta Maglia 176 Short. Adidas Deutschland Trikot Jersey DFB EM 2004 T-Shirt Maglia Camiseta D 176 Y XL. Länge : 65cm (mit Kragen). Abhängig vom Alter können daher Gebrauchsspuren vorliegen. Größe : 4 / ca. Mit Rückendruck _ Piccos Imbiss. "Wunderschön! Und passt gut! Vtg 1980s San Francisco Tourist Sweatshirt Large bay area sailing california. 80’s Champion New York Athletic Club sweatpants. Cotton Reverse weave fabric with elastic cuffs, metal grommets and inseam gusset. This design predates the brands “C” patch. Unworn condition- no stains, holes or visible wear. Inseam: 32” Rise: 14” Waist: 30-36” Feel free to message with any questions.